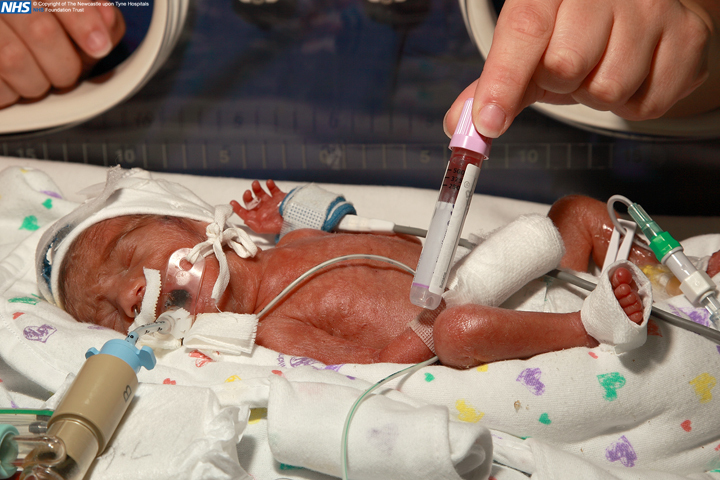 Taking blood from preterm infants is essential and routine in the NICU, but it usually uncomfortable for the baby (however gentle you are), and frequent blood tests usually result in anemia. There are ethical guidelines around when this is acceptable purely for the purpose of research: research related blood volumes should not exceed 3% of the total blood volume during a 4 week period, and not be >1% on any single occasion. A 500g infant has around 40mL of blood, so the maximum that could be obtained purely for research equates to just >1mL. 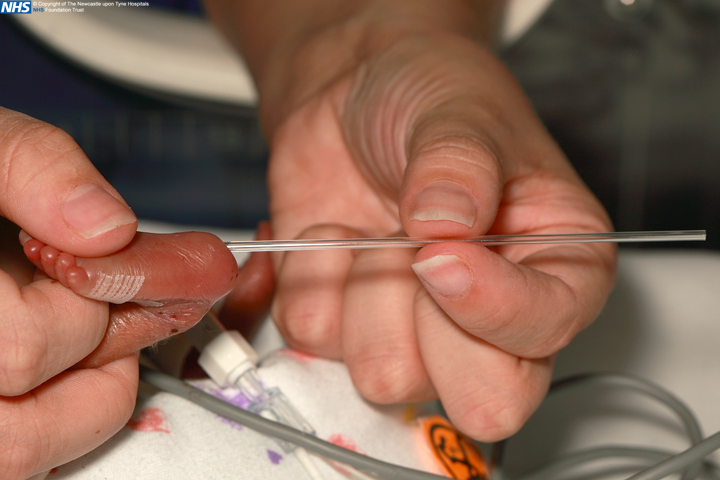 Typically in clinical practice a minimum volume of 250-500uL per sample is taken for practical reasons (bottle size, anticoagulant etc), so for an extremely premature baby in an individual research study sampling might be possible on just 3-6 occasions over a 4 week period. During a period where there were on-going research studies, we set out to establish whether it was possible to recruit parents and infants to a study where collection of non-invasive or ‘un-used/waste’ samples was undertaken. These samples were to be used to support a portfolio of research studies where the use of ‘salvaged’ samples was the unifying factor, and collection of residual blood and plasma from routine samples was a key aim . The study had full ethics approval and parents provided written informed consent. Our study showed you can salvage up to 63 separate samples from a single infant, frequently spanning the entire hospital stay, with no extra sample ever being taken for research.We are storing these 'waste' samples so we can analyse a range of outcomes in plasma & serum, including cytokines, plasma proteins & peptides, growth factors etc. We also sought permission to retain the blood cells so we can analyse them for epigenetic marks such as DNA methylation. In a small number of cases (<5%) parents declined permission for cell storage, in which case the samples were destroyed. If you are a parent whose baby took part in this study you can tell us what you think by clicking HERE.